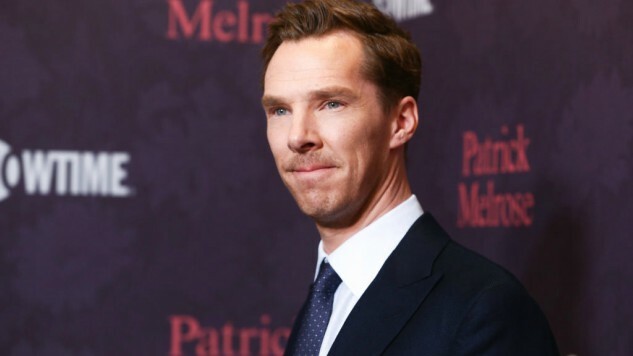 Benedict Cumberbatch may be a genuine Hollywood movie star these days, enshrined in the ultra-profitable Marvel Cinematic Universe by his role as Dr. Strange among other things, but he hasn’t forgotten about the arena where he rose to fame—British TV. As such, he’s just been announced as the main star of Brexit, a two-hour television film from the U.K.’s Channel 4. As the name would imply, the film revolves around the so-called Brexit vote of June 2016, wherein British citizens voted to leave the European Union. The use of the phrase “political thriller” to describe the story does seem a little odd, does it not? It’s not as if we don’t know the outcome of the Brexit vote. The story almost seems more like a legal drama than anything one would refer to as a “thriller.” Are there attempted assassinations and car chases involved at some point? It sounds to us like Graham will likely be coming to some conclusions about culpability, morality and fault in doing so … and that seems quite likely to stir up further controversy. We’ll have more information on Benedict Cumberbatch in Brexit as it arrives.